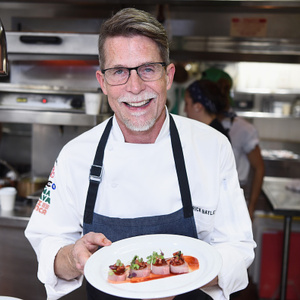 How much is Rick Bayless Worth? Rick Bayless net worth: Rick Bayless is an American chef and restaurateur who has a net worth of $30 million. Rick Bayless was born in Oklahoma City, Oklahoma in November 1953. 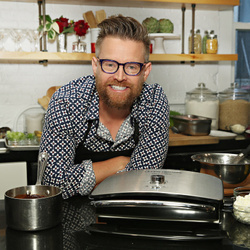 He is well known for starring on the PBS television series Mexico: One Plate at a Time. Bayless graduated from the University of Oklahoma and the University of Michigan. He owns many restaurants including Frontera Grill in Chicago, Illinois, Topolobampo in Chicago, XOCO in Chicago, Frontera Fresco, Tortas Frontera, Red O, Lena Brava in Chicago, Cruz Blanca Brewery & Taqueria in Chicago, Frontera Cocina in Lake Buena Vista, and Bar Sotano in Chicago. Rick Bayless has authored the books Authentic Mexican: Regional Cooking from the Heart of Mexico, Rick Bayless's Mexican Kitchen: Capturing the Vibrant Flavors of a World-Class Cuisine, Salsas That Cook: Using Classic Salsas to Enliven Our Favorite Dishes, Mexico: One Plate at a Time, Rick and Lanie's Excellent Kitchen Adventures, Mexican Everyday, Fiesta at Rick's: Fabulous Food for Great Times with Friends, Frontera: Margaritas, Guacamoles, and Snacks, and More Mexican Everyday. 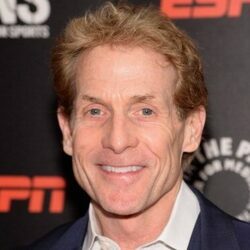 Rick's brother is sports reporter Skip Bayless.